Safety is a prime concern at Platinum Grover. 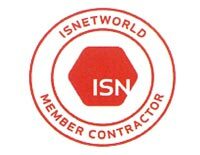 We are an ISNet World member in good standing with a fully implemented safety program. We strive to provide a safe work environment by providing ongoing training and safety awareness meetings. Whether pipe is being loaded onto a trailer, transported to your location or when we are working the pipe to meet your specifications, the safety of our employees, customers and public is always our first priority.